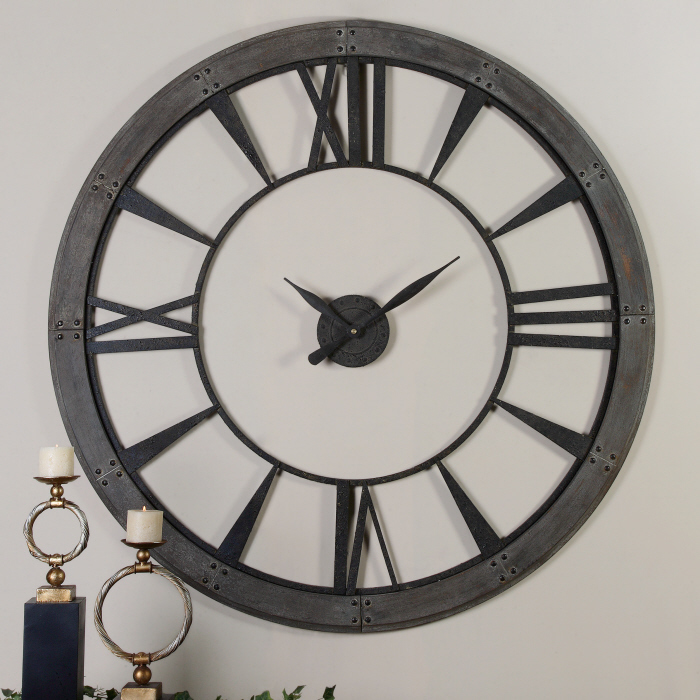 Home ♦ Traditional Living ♦ Thoroughly Modern Wall Clocks ♦ Ronan Clock 60"
accented with a rust gray frame. Also available in 40" in diameter from designer Steve Kowalski. This clock takes a very large wall space and weights 40 lbs. Operates on a quartz movement, batteris required not included.